In celebration of its new special edition COFFEE-MATE® Girl Scouts® creamers under a license with Girl Scouts of the USA, Nestlé is launching a “Scout The Girl Scout” casting call seeking an authentic Girl Scout between the ages of 8 and 11 to star in its television commercial. 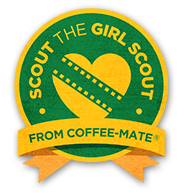 Starting Tuesday, July 30th through mid-August, Girl Scouts nationwide with the permission of their parents can submit audition videos online at www.GirlScouts.Coffee-mate.com. Currently registered Girl Scouts who have been registered on or after October 1, 2012 are eligible. sharing the results of a study that shows coffee appears to reduce the risk of suicide. "Drinking several cups of coffee daily appears to reduce the risk of suicide in men and women by about 50 percent, according to a new study by researchers at the Harvard School of Public Health (HSPH). The study was published online July 2 in The World Journal of Biological Psychiatry." This post is for information only and to help spread the word to coffee lovers and vendors. I am in no way affiliated with the Coffee Fest event myself. Coffee Fest has been serving the specialty coffee and gourmet tea industries since 1992. Viewed by most as the best trade show in America and around the world specifically for those involved with retailing coffee, tea and related products. Coffee Fest continues to evolve and stay at the forefront of emerging trends. If it looks like coffee, smells like coffee, goes well with coffee or is coffee you will find it at Coffee Fest. Everything under the sun that would be found in an upscale coffee shop on either side of the counter, including the counter would be found on the exhibition floor at Coffee Fest. The best coffee retail education, training and workshops are found at Coffee Fest. When I have a post up for a couple days without an update, I start to feel a little guilty! However, I've not bought any recent coffee products nor any new coffee roasts to review so really, it's been a non-coffee-post kind of household this week! This afternoon I brewed a cup of coffee, walked into the office and sat down in front of the computer. "What shall I write about?" I asked myself. As I sat staring off, lost in my thoughts, I realized I was staring at my coffee coaster. So of course, off I went to Amazon to see what was 'out there'. While I intended to feature only coasters with a coffee theme, I saw these photo insert style coasters and had to mention them as well! This is the style of coaster I bought my parents about 10 years ago. It was a random Christmas or Birthday gift at the time and I figured they would enjoy putting pictures of their grandkids in them. When it comes to coffee themed coasters, I grabbed 3 at random as I didn't see my exact style available any longer. (I've had them a number of years now). There is a variety of style and themes that all revolve around coffee but some are square, some circular, some are absorbent, some are high gloss or ceramic. Everyone has different tastes. I personally have both absorbent and ceramic high gloss. I like both. I found the absorbent coasters to be great for ice water, beer and other drinks that tend to have a lot of condensation, while the ceramic is fine for my morning coffee. I am not a member of the National Coffee Association but am helping spread the 'coffee word' to those interested in the 2013 Coffee Summit. NCA’s Coffee Summit is a dynamic and interactive forum that blends presentations by leading industry experts with shared experiences and insights of your fellow executives and thought leaders. Held in a unique “open space” environment, participants split their time among activities including self-directed group discussions, learning exchanges, directed interactive forums, traditional presentations and more. Attend Coffee Summit 2013 and you’ll learn what’s going on industry-wide, exploring its implications in intensive, substantive discussions with colleagues from companies both large and small, and deriving information and insights sure to help you generate forward-looking strategies and game-changing solutions for the issues you and your business face. Come experience the dynamic blend of presentations from leading industry experts combined with interactive discussion sessions designed to address your most pressing business needs. 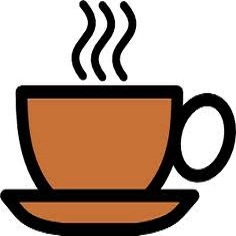 Don't miss this innovative forum from the National Coffee Association. Watch your inbox and check the NCA website for upcoming news about Coffee Summit 2013. It’s a winning combination of activities that received kudos from our 2012 attendees, so mark the dates in your calendar now—and plan to attend in October! Go to their page (HERE) for more information about registration. NCA has negotiated an event room rate of $269 per night. You can go to their page here. What's the difference between coffee roasts? What does dark roast or light roast mean? This morning it occurred to me I had never discussed the different roasts of coffee on Coffee Talking. I think the National Coffee Association USA (www.ncausa.org/) lays it out in a very concise, easy manner so I turned to them for a simple explanation this morning. Roasting is a heat process that turns coffee into the fragrant, dark brown beans with which we are most familiar. Before being roasted, the beans were stored green, a state in which they can be kept without loss of quality or taste. Once roasted, however, they should be used as quickly as possible before the fresh roast flavor begins to diminish. Roasting is a technical skill which approaches an art form. It takes years of training to become an expert roaster with the ability to 'read' the beans and make decisions with split second timing. The difference between perfectly roasted coffee and a ruined batch can be a matter of seconds. Roasting brings out the aroma and flavor that is locked inside the green coffee beans. A green bean has none of the characteristics of a roasted bean. It is soft and spongy to the bite and smells green, almost 'grassy.' Roasting causes numerous chemical changes to take place as the beans are rapidly brought to very high temperatures. When they reach the peak of perfection, they are quickly cooled to stop the process. Roasted beans smell like coffee, and weigh less because the moisture has been roasted out. They are crunchy to the bite, ready to be ground and brewed. Within the four color categories, you are likely to find common roasts as listed below. But it is a good idea to ask before you buy. There can be a world of difference between roasts! Medium brown in color with a stronger flavor, and a non-oily surface. This roast is often referred to as the American roast because it is generally preferred in the United States. Shiny black beans with a oily surface and a pronounced bitterness. The darker the roast, the less acidity will be found in the coffee beverage. Dark roast coffees run from slightly dark to charred and the names are often used interchangeably which can be very confusing. Be sure to check your beans before you buy them! Although I've posted about Coffee-Mate previously, I wanted to mention it again as I happen to be sitting here sipping a minty iced coffee so it gives me fodder to post. Coffee-Mate had sent me 2 free samples of their new Girl Scout cookie flavored coffee creamers a couple weeks ago to try and review. It was perfect timing as I was entertaining guests that weekend and it made a great addition to our morning coffee bar. Luckily for me they didn't finish it all off so I've been hoarding it a bit in order to have it to flavor my iced coffees. Nestlé probably intended for everyone to flavor their hot morning coffee with their yummy Thin Mint and Caramel and Coconut flavors, however, being a 'hot, strong, black' kind of morning coffee girl, I found it to be a new favorite for my iced coffee as it's so darn easy! Nestlé has teamed up with the Girl Scouts of the USA to launch the new limited edition Coffee-mate® Girl Scout flavors. Available in the ever popular Thin Mints® and Caramel & Coconut, the delicious taste of the most sought-after cookies in the country can now be enjoyed in your morning mug. Who said you couldn’t have cookies for breakfast? The new Coffee-mate Thin Mints and Caramel & Coconut flavors are less than $3 a bottle and can be found in the dairy aisle of your local grocer nation-wide this summer. I own a Mr. Coffee Frappe Maker so iced coffee is especially quick and easy for me, however you can make it in the blender just as well! If you have a Frappe maker, make according to directions by adding the ice and creamer to the container and continue the brew cycle as usual. Top with whipped cream if you wish! If you do not have a Mr. Coffee Frappe maker, add the ice and creamer with the espresso in a blender and blend on high until smooth. To be honest, blogger and Amazon are still not working together well and putting random strings of characters in the coding of links, making them inoperable. I literally have to go in and find and remove the string of characters - which is a pain and really, makes it time consuming and difficult to link to the coffee products on Amazon that I want to review. BUT... I can't let Coffee Talking sit here un-updated right? So This morning as I sit here listening to Pink Floyd and pondering what to write I suddenly thought; What about the history of coffee? And a subsequent search of Amazon found almost 5,000 search returns. Wow. Ok then. Well, how about if we just choose like, five of them? What is it about coffee that makes it so popular across so many different cultures? 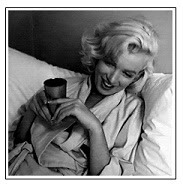 Can it be the caffeine or is there something else about coffee that makes it so alluring? No beverage has broader worldwide appeal. In North America and Europe, the annual amount of coffee consumed is overwhelming. And in China and even in India, the traditional stronghold of tea drinking, the coffee business has grown by leaps and bounds. In the book Coffee Talk: The Stimulating Story of the World's Most Popular Brew , Satin traces the rich and intriguing history of coffee, showing how coffee consumption evolved to fit the social and economic needs of different times. His fascinating narrative dispels common myths and conveys such little-known facts as: the dark coffee bean originated in Africa, not South America, as many believe. 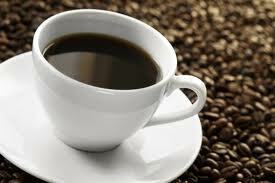 Today, of course, it is the indispensable wake-up beverage in most households throughout the West and the East. It is also the mainstay of the Starbucks phenomenon--a chain of coffeehouses whose popularity continues to soar. Satin even goes on to reveal the best techniques for home brewing. And he enlivens his narrative with stories of the fine art of the barista, which includes the World Barista Championship where rival barmen from around the globe display the highest artistry of coffee brewing.